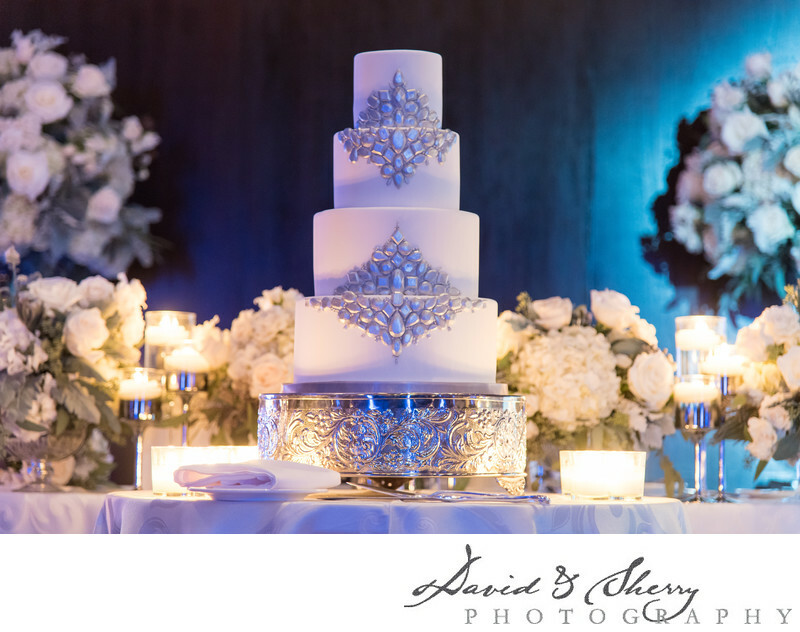 What can be a statement piece of a wedding reception is the large wedding cake placed in the center in front of the head table where the bride and groom sits. This beautifully artistic dessert is tasty and beautiful. As much thought is put into the cake for some brides as to the rest of the decor. In one instance the main cake was matching the decor in style and luxury and as a surprise she purchased and designed a groom's cake which was a pool table complete with cues, balls, green fondant table covering and a stained oak finish on the table. The level of creativity that can be achieved is astounding through the use of butter cream, coloured fondant, embellishments, and the stand on which the cake sits. Years of study and practice have been put into the confectionery arts of pastry and these red seal pastry chefs are able to create with food which we find pleasing to the eyes and the tongue. Every different flavour you can imagine paired with most elaborate exterior will wow all of your guests and will make the cake cutting the highlight of the evening with all the guests around to photograph it.